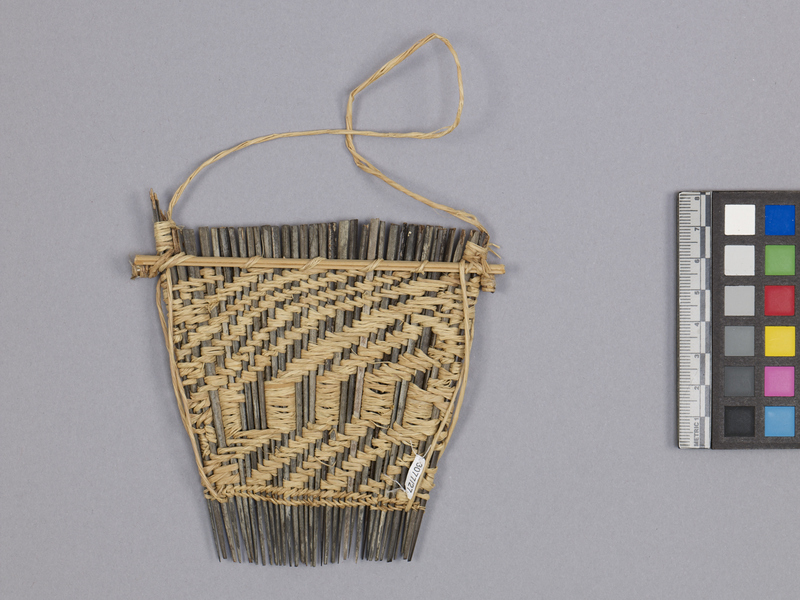 Item number 3077/27 from the MOA: University of British Columbia. 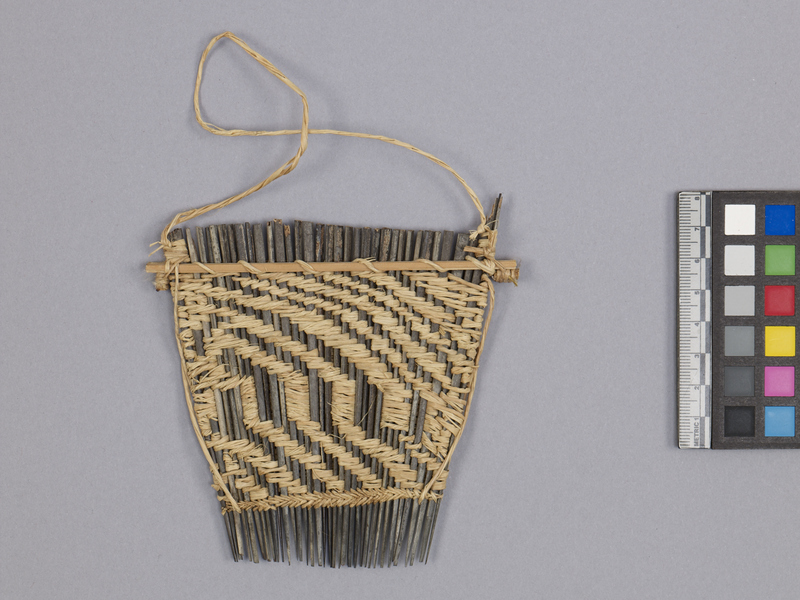 Comb with 35 palm wood teeth and woven coconut husk fibre making diagonal patterns. Two horizontal sticks and twisted cord on top as handle. Purchased by donor in Puerto Ayucucho in 1998.